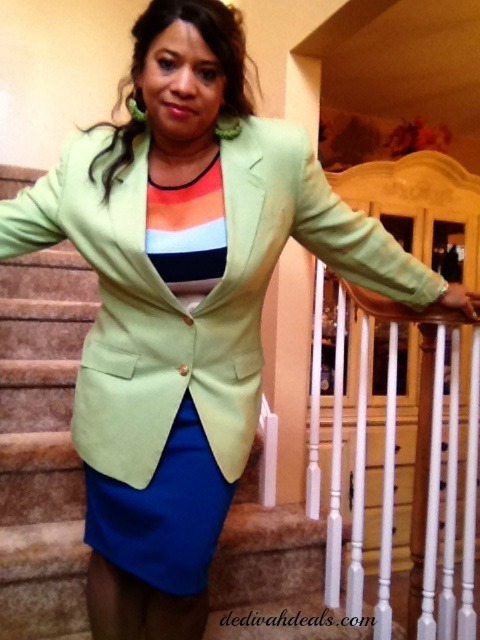 No, I didn’t wear my birthday suit on my 55th birthday which was September 20th, but I did want to show you what I did wear during my birthday week. This black and white stripped dress with a bit of blue is very flattering one of which I think was purchased at Ross Dress for Less. I chose to wear with my sandals from Sears, remember when I posted these on Instagram? On Wednesday I attended a Networking Event at the Chase Center on the Riverfront and wore this black and beige dress from Avon. I had a great time posing with the cutouts of the various candidates. Hillary Clinton, Bernie Sanders and of course our current Vice President Joe Biden. The beige pumps are Chinese Laundry purchased from DSW and check out the beige purse on the ground – it was thrifted new from Goodwill! On Thursday, I wore this black and white maxi skirt – do you see a pattern here – yes, I love the classic black and white combo. Thursday was also the night that we put together the Swag Bags for KalediscopeDE and I wasn’t the only one who wore a black and white skirt. It was definitely a great birthday week and I am looking for a wonderful year. Now I can let you in on my secret which I posted about on a Facebook Livestream on Friday. I have been invited to collaborate with Chadwick’s of Boston and Metrostyle so stay tuned for the next few outfits which will feature clothing and accessories from both of these fantastic companies. 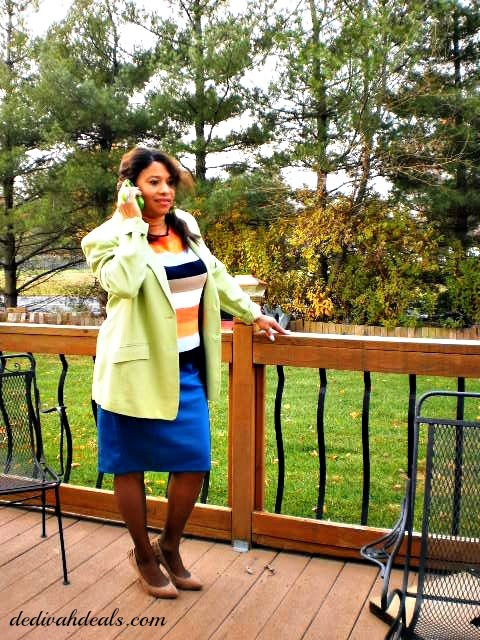 In case you missed Social Media Sunday with the Delaware Blogger broadcast on Sunday, here is the link as it was a great segment with my guest, Nikki Valentine who is a fashion designer and stylist. Obviously sleeveless was the call of the week but now it’s sweater weather. 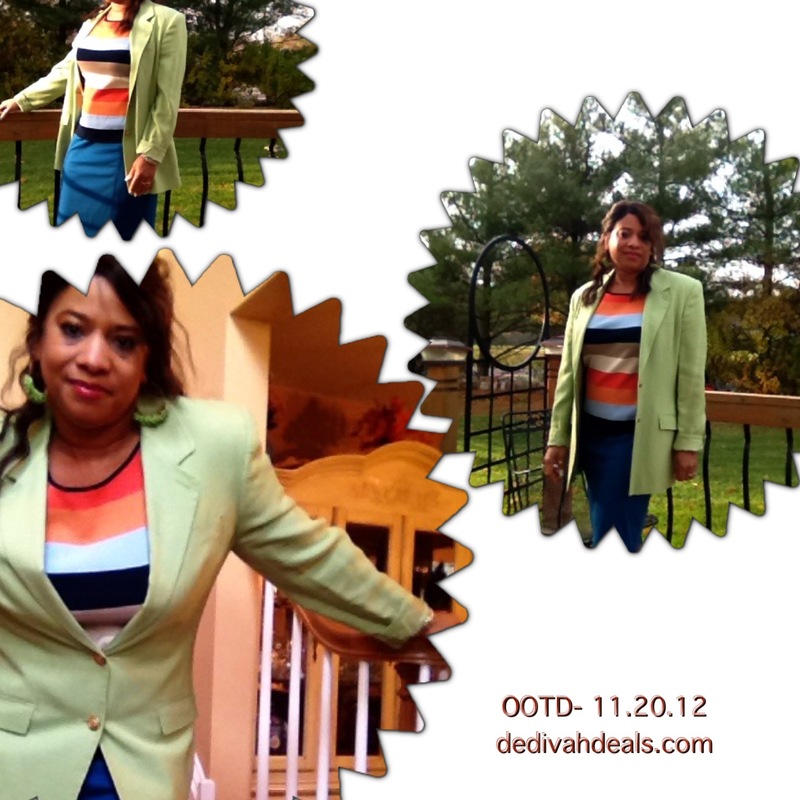 Have you transitioned your wardrobe yet? Save on warm-weather active wear this season at EastBay.com. EastBay.com carries a wide selection of the top brands and styles in athletic apparel. Top athletic brand offerings at East Bay include: Nike, Reebok, Adidas, Jordan, New Balance and more! Stock up on summer active wear including sport shorts, compression clothing, slides and swimwear. Shop online at EastBay.com and save with a 10% discount off your order. This promo is available in the contiguous US only. Exclusions apply. Hurry! Offer ends 6/30/15. In addition to retail stores across the nation, Foot Locker also offers online retail at FootLocker.com. Footlocker.com is your online source for stylish brands and trends in athletic footwear as well as athletic apparel. Adidas, Nike, Asics and Reebok are just a few of the top athletic footwear brands available online at FootLocker.com. Shop online at FootLocker.com and receive an online-only savings of a 10% discount on your purchase. Exclusions apply. Hurry and shop online. This offer ends on 6/30/15. Things Remembered is your source for unique, personalized gifts for any special occasion. With Father’s Day quickly approaching, browse a variety of gift options for dad online at ThingsRemembered.com. Perfect Father’s Day gift options include customized picture frames, engraved ID bracelets, wallets, bar accessories, cufflinks and more. Save on your unique gift for dad at ThingsRemembered.com with a $15 discount off your gift purchase of $30 or more. Hurry and find the perfect gift for any occasion. This promo ends on 6/21/15. Discover a convenient way to shop for the perfect gift online at Wine.com. Wine.com carries a variety of wine gift options, including perfectly curated wine pairings, wine and cheese gift baskets, wine collections and wine and chocolate gift sets. Perfect for special events and holidays like Father’s Day, Birthdays, Weddings and more! With Father’s Day quickly approaching shop online at Wine.com and see all that they have to offer. Save big with a 10% off promotion on gift basket orders at Wine.com. Shop now! This discount ends on 6/30/15. Warm weather I here and it is time to show off your legs! Let Dress Barn assist you in finding the perfect dresses for outdoor cookouts, weddings, graduations and other summer events. In addition to retail stores across the nation, Dress Barn also offers convenient online retail at DressBarn.com. Shop online at DressBarn.com today and stock up on perfect dresses for every occasion. Save 15% OFF your order and receive $3 flat-rate shipping. Redeem promo cod at DressBarn.com. Shop online now, and let Dress Barn make shopping easy. Offer ends 6/30/15. Travelocity.com is your online travel agency, offering great deals and savings on flights, hotels and travel packages. The wide selection of lodging options at Travelocity.com includes over 510,000 hotels worldwide. Book your summer travel online now at Travelocity.com and receive a promotional discount of 10% OFF bookings of participating hotels. The minimum stay to redeem this promo is 3 nights. Hurry and visit Travelocity.com for promo code. Book your dream summer vacation today and save with Travelocity. This offer ends on 6/30/15! In addition to traditional retail, classic sportswear brand Puma also offers online retail at Puma.com. Shop conveniently online and stock up on summer active wear essentials like new sneakers, running gear, backpacks, hats and more. Puma.com is currently offering a Father’s Day promotion to help you find the perfect gift for dad at a discounted price. Visit Puma.com and receive a discount of $25 OFF your order of $75 or more. Use code on website to redeem these savings. Hurry! This offer is only valid through 6/21/15! iHomeAudio.com, the top maker of speaker systems and clock radios for iPod, iPhone and iPad, is offering a promotion 20% OFF your purchase of $40 or more as well as FREE shipping online! Innovative technologies from iHomeAudio.com like iHome’s new SmartPlug, make technology use in the home convenient and efficient. Browse online at iHomeAudio.com and find whatever it is that you need to make your devices more streamlined. Find promo code on iHomeAudio.com. Shop now! These savings end on 6/30/15. With the season of graduations, weddings, Father’s Day, summer cookouts and more upon us, what better way to celebrate than with a gift from internationally celebrated Ghirardelli? Ghiradelli offers chocolate gifts, bars and baskets that are perfect for any occasion or event. Shop for the perfect gift online at Ghiradelli.com and receive a promotional discount of 10% OFF your purchase of $50 or more. What could be better than giving the gift of chocolate? Hurry and shop online now at Ghiradelli.com. 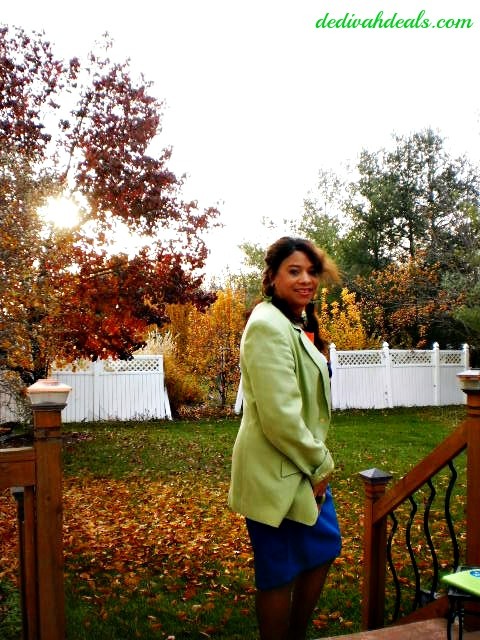 If you are tired of trying to find stylish and flattering clothing for your body type, look no further than Avenue. 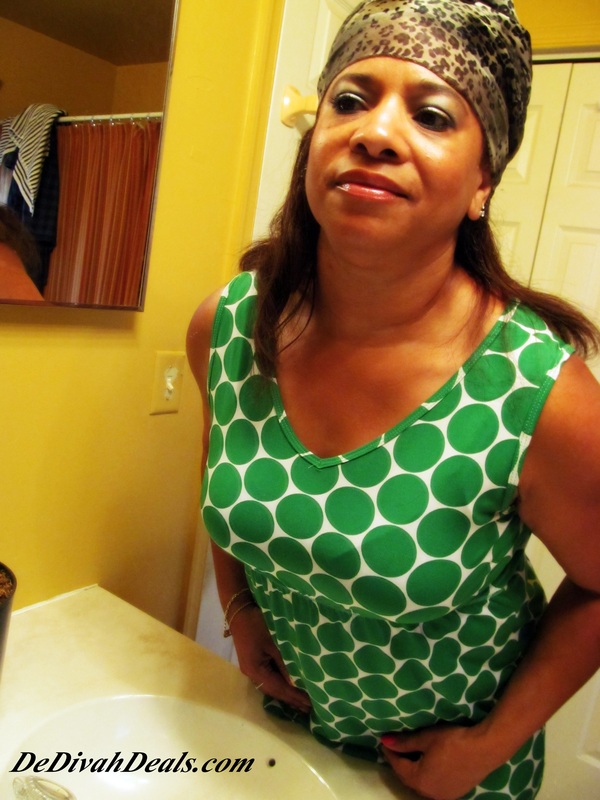 Avenue.com offers a wide variety of on trend plus size clothing that suit every life style. Check out Avenue’s flirty summer styles, like flatter swimwear, patterned maxi dresses, bright T-shirts and fun accessories. Shop and save online with Avenue.com’s current promotional savings. Receive a discount of 15% OFF one item, 20% off 2 items and 30% off 3 items. Redeem savings code at Avenue.com. Hurry and stock up on summer must-haves. This offer ends on 6/29/15. Looking for the perfect gift for Father’s Day, a birthday or another event? Lifestyle brand, Life is Good, has your covered with apparel, accessories and more! Visit LifeisGood.com and browse a variety of gift options, such as witty T-shirts, hats, bottle openers, phone cases, coffee mugs, water bottles and more. Life is Good brings positive slogans and designs to all of their products, helping you spread a little optimism in your gift giving. Shop online at LifeisGood.com and enjoy a 15% discount on your next purchase when you sign up for their newsletter. Hurry. Offer ends 6/30/15. Summer is officially here! If you are trying to find the perfect summer apparel basics, like breezy dresses, casual shorts, stylish t-shirts and fun accessories, Loft is the place for you to save. Shop online at Loft.com and browse new summer apparel arrivals, including a line of flattering and classic swimwear and hats and sunglasses to keep you cool and stylish in the sun. Stock up on summer must-haves and save with FREE SHIPPING on your purchase of $125 or more. Lord & Taylor is your source for online summer beauty and fragrance purchases. Save on summer beauty essentials like SPF, sunless tanner, bronzer, blush from top brands like Lancome, Estee Lauder, Kiehls, Bobbi Brown and more online at LordandTaylor.com. Lord & Taylor helps you save by offering FREE GIFTS with every beauty purchase, as well as FREE SHIPPING on beauty and fragrance orders of $49 or more more. Hurry and browse warm-weather beauty arrivals online at LordandTaylor.com. Offer ends 8/31/15. Overstock.com is your source for online deals and savings on just about everything! Overstock offers incredible discounts on everything including furniture, jewelry, electronics, health and beauty items and more! Save even more with Overstock.com’s promo of an EXTRA $10 OFF your purchase of $200 or more as well as FREE SHIPPING. The discount will appear at checkout. This amazing offer excludes sports/toys, health/beauty, media/electronics and cannot be combined with other sales. Hurry and save with Overstock.com. Offer expires on 7/9/15. Are your outdoor summer adventures planned? Let Sierra Trading Post help with their expert knowledge and savings on outdoor supplies. Shop online at SierraTradingPost.com and conveniently browse supplies for activities including: camping, fishing, cycling, hunting and more. SierraTradingPost.com carries top outdoor apparel brands such as: Columbia, Mountain Hardware, New Balance, SmartWool, Carhartt and more. Shop and save now at SierraTradingPost.com with a promo of an extra 25% OFF and half-off shipping with code. Shop now! Offer is valid through July 8, 2015. The New Year is an ideal opportunity to set and to create new money habits. Whether your goal is saving, buying a home, or starting a business, there is a Money School class which can assist you. Check out The Money School class schedule and register for their free classes. You can even bring a friend! What’s your financial goal for 2014? Take a picture, and send it to info@dfli.org. They will post your goal on the Money School’s Facebook page. Join us and learn how to create a savvy social media strategy. Social media experts will discuss creative e-mail marketing, maximizing video content, blogging tips, and media relations. Starting your own business? Need to jump start your current enterprise? Attend Delaware’s premiere event for the small-business community, the CODE Conference. Speak with exhibitors, network, and learn branding techniques from award winning financial-journalist, Lynnette Khalfani-Cox. Want to exhibit at CODE? E-mail Info@DFLI.ORG for details. *This is a sponsored post written by me on behalf of Demagist Skin Care. All opinions are 100% mine. I grew up hearing the phrase, “Black Don’t Crack“, but that may not be the case in all situations, especially if you don’t take care of the skin you’re in. Natural aging combined with the lack of sleep, smoking, or overexposure to UV Rays can crack the best of skin no matter the color! Not all signs of skin damage are visible so I make sure to remove my make up, cleanse my face and moisturize every night. I’m fortunate to have tight skin with no visible wrinkles, but at 51, I’ve overexposed my skin to the sun’s harmful rays and am also an ex-smoker. I can see fine lines developing in my face so now is the time to take more action including caring for my chest and neck area. 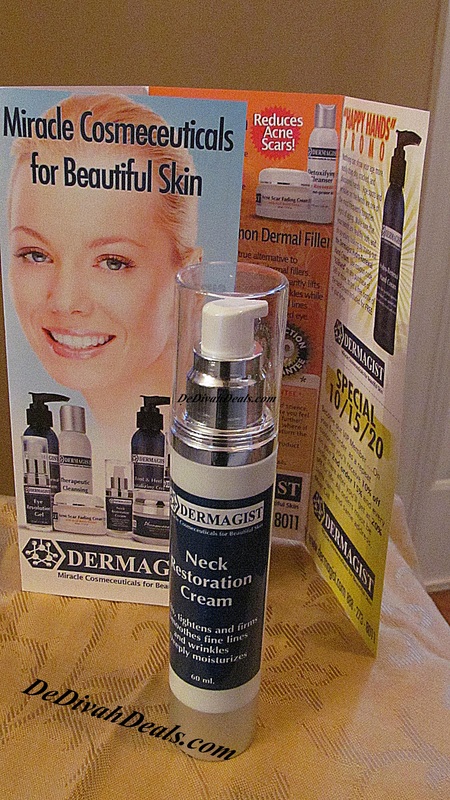 I was contacted by Neck-Cream.com and asked to do a sponsored post for their product Dermagist Neck Restoration Cream, so the timing was perfect. I don’t know much about “anti-aging” products, but do know that taking care of my skin now will definitely pay off in the future. Eventually if we’re lucky, we get to meet “Father Time“, and how we chose to greet him is in our hands. Dermagist Neck Restoration Cream is supposed to lift, tighten and firm, as well as smooth out fine lines and wrinkles while deeply moisturizing the skin. Now that’s a lot to expect from this little 60 ml bottle but I was excited to give it a try. The first thing I noticed about Dermagist was that it didn’t have an overpowering scent nor was it thick or oily. It’s very light and absorbed quickly into my skin. As directed, I’ve been using it twice a day for over a month and I can definitely see and feel the difference. 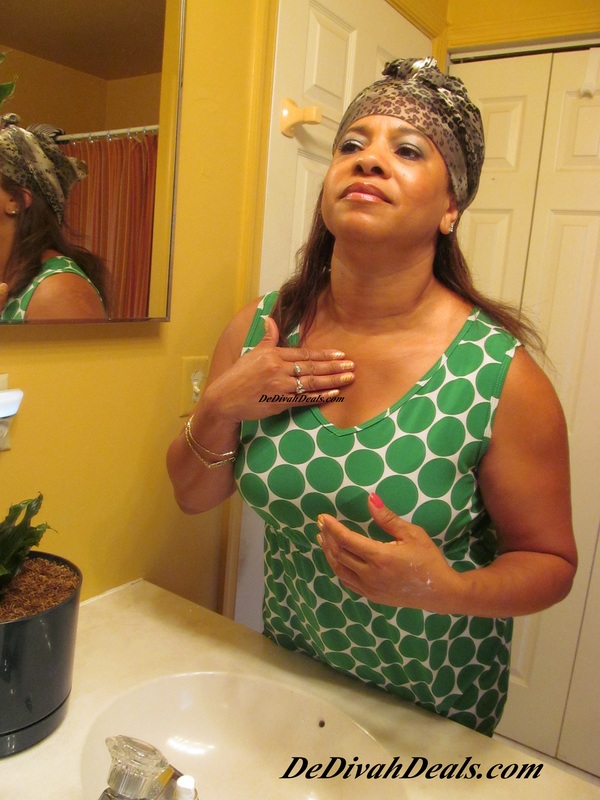 My neck and the V-zone area in my chest is silky smooth all day and it feels fully moisturized. 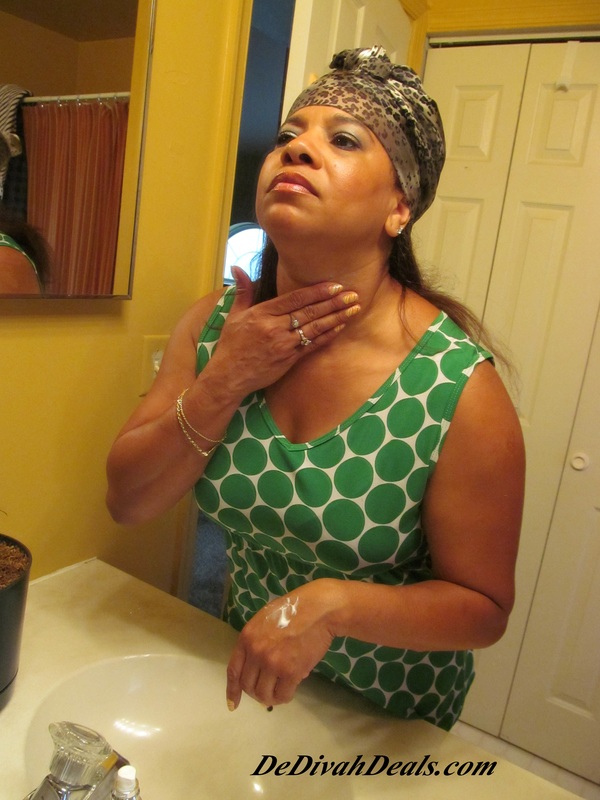 Dermagist Neck Restoration Cream did not irritate my skin and it contains several all natural ingredients including sesame protein, apple stem cells extract, and Shea Butter. 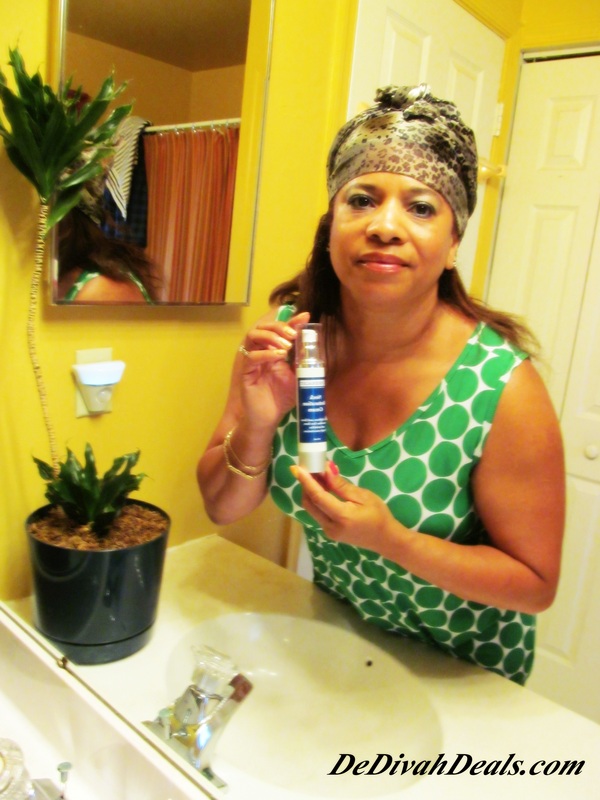 Dermagist has now become part of my daily beauty routine, with the bottle always in plain sight – you know forgetfulness also comes with aging (lol). 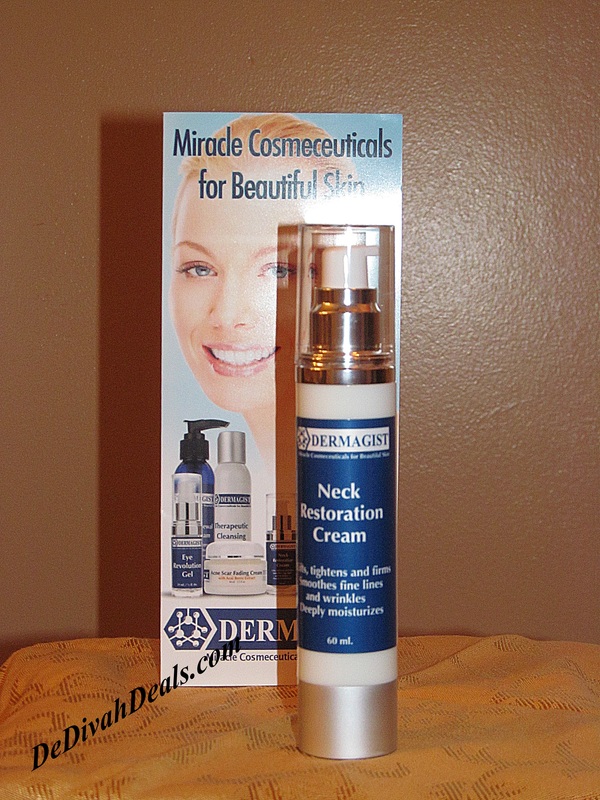 Dermagist Skin Care has offered to give one of my readers a free bottle of Dermagist Neck Restoration Cream. All you need to do is “Like” Dermagist and DeDivahDeals Facebook pages, then leave a comment as to why you would be excited to try the product. Make sure to refer your friends ~ a winner will be randomly chosen on July 15th. Good luck! Hello Friends, I hope your day is going well! You know me, DeDivahDeals, always looking for a bargain, well I came across what I think is the best way to find and buy daily deals. In the past, I have bought deals from Groupon and Living Social but the constant emails for deals that I wasn’t interested in was annoying. Thankfully, this is not the case with www.dailydealsuperstore.com. www.dailydealsuperstore.com has all the deals in one place – from the recognizable, big names to the really local deal companies, and everything in between. I have created my own profile so I only get the deals from Wilmington, and the surrounding areas and Philadelphia, PA and I don’t have to read through a bunch of others. I can change my profile any time, so when I plan a trip I can add my destination and pick out a few cool deals before I leave. www.dailydealsuperstore.com gives me a lot of categories to choose from so it’s really easy to either see the deals I want and hide the ones that I’m not interested in. Beauty deals not your thing? No problem, deselect the box and those deals won’t show up in your personalized list. www.dailydealsuperstore.com has a great Facebook app too, so I can share deals with my Facebook friends – and earn rewards! We all could earn points from every deal and redeem them for gift cards. Saving money on deals AND earning rewards – winning! Anywho, click on the banner below to register and start getting some great deals today – try it, I think you’ll like it! Going to check out some deals for Father’s Day! Yesterday, after work I met with two representatives from The Money School of Delaware. 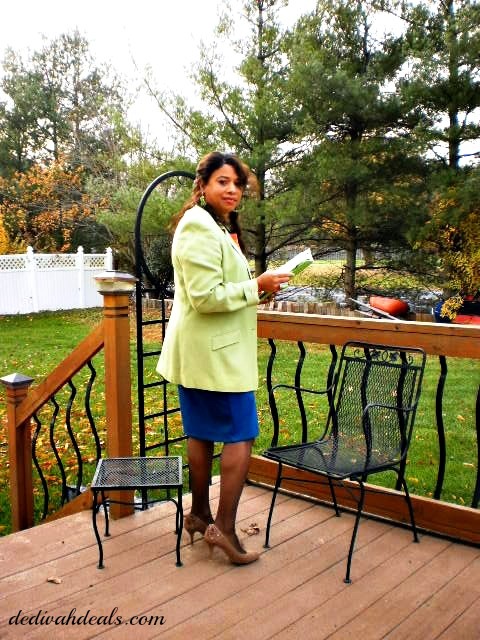 They had read my post, “From Purses to Portfolios” and were so impressed that they offered me an opportunity to create their blog as well as host various training webinars. Attending events and writing about women’s issues mixed with the fashion and savings was exactly where I wanted to take this blog. Now that this has come to fruition so quickly I want to thank God for I am truly blessed and look forward to working with some great people at The Money School. I will keep you posted as to when it goes live because it will be separate from my dedivahdeals blog.